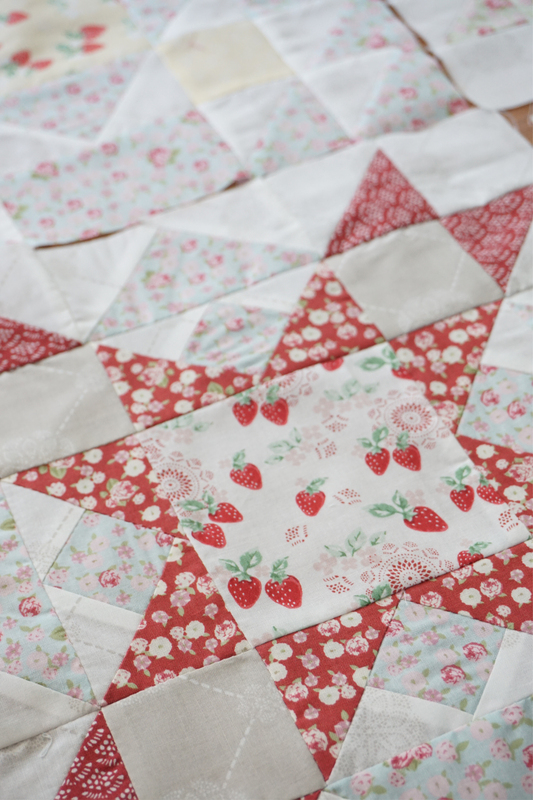 This is a special sneak peak of my second quilt as you go book in the works. I’ve been working away on this specific quilt every night for the last couple of months. I wish I could share more, but here are some glimpses and up close photos of my fabrics. 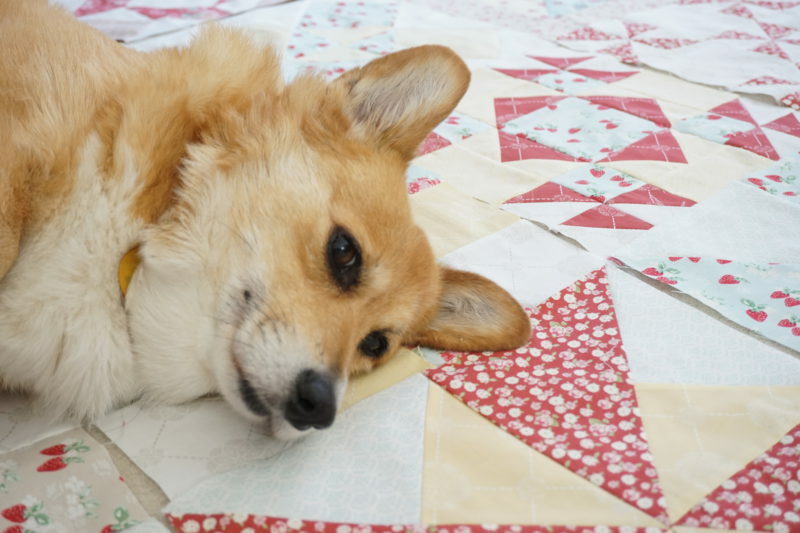 This wouldn’t be a proper post without throwing in a couple glamour shots of my quilting buddy, Paige. Thanks to all of your support, my second book should be out next year, along with my 2nd fabric collection. Thank you so much. I wouldn’t be doing what I’m doing if not for all of you. 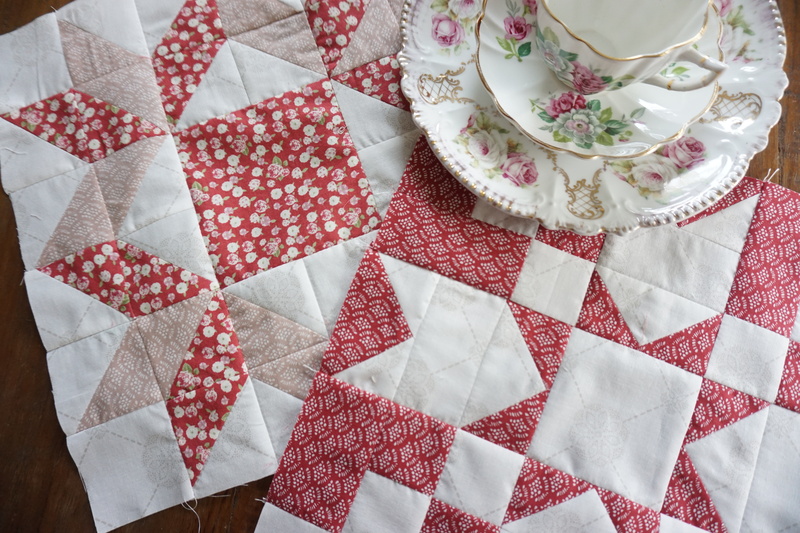 Over the years I’ve really become infatuated with vintage style quilt and dishes, drawing lots of inspiration from them (hence my first fabric collection called High Tea). 😉 My 2nd book will reflect my love for all things vintage, while putting a modern spin to it. 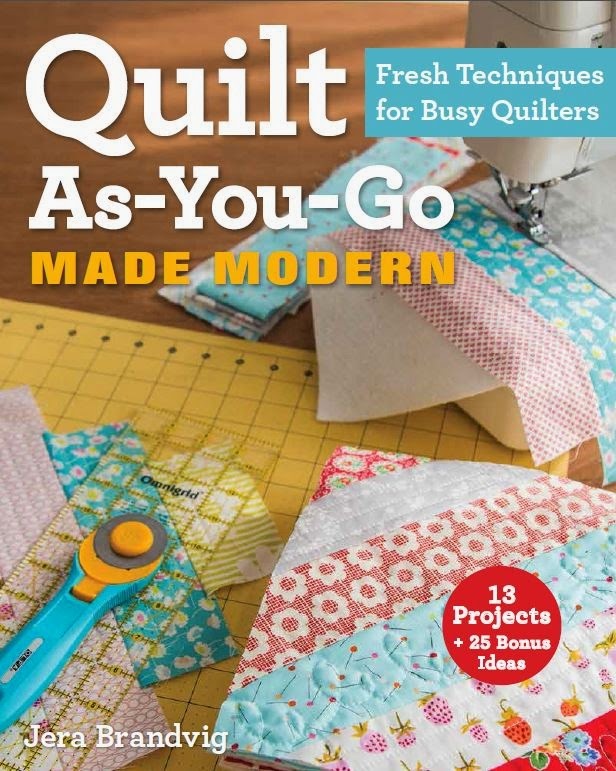 My first QAYG book was very modern with improvisational quilting and quick cutting techniques. 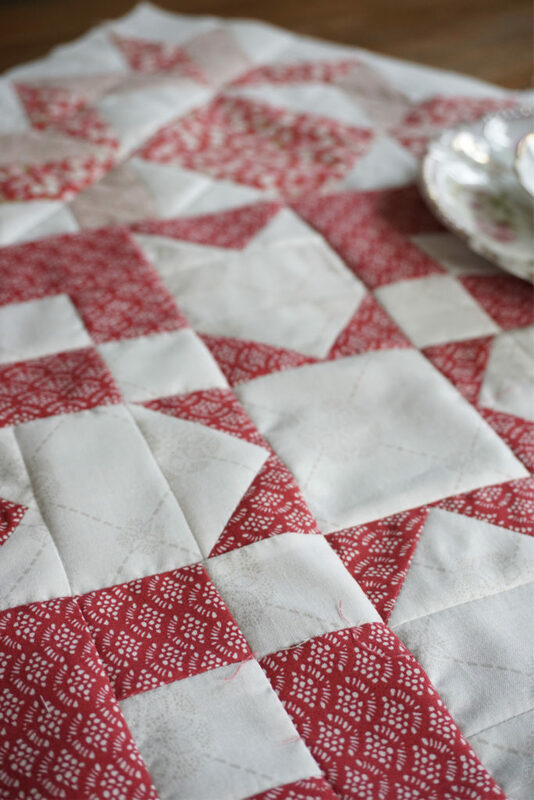 My 2nd book will build upon the first with an additional QAYG joining technique, but it also takes on a more classic approach with timeless and traditional heirloom style blocks. My husband and I read your reviews on my first book , and we listened. Thank you to all that have taken the time to post a review. 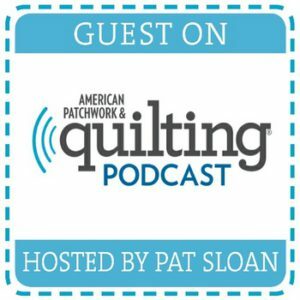 Reading the comments where people found so much creativity from the technique, or are now quilting because of the book (where it was once too daunting), encouraged me to write book 2. Thank you so much. 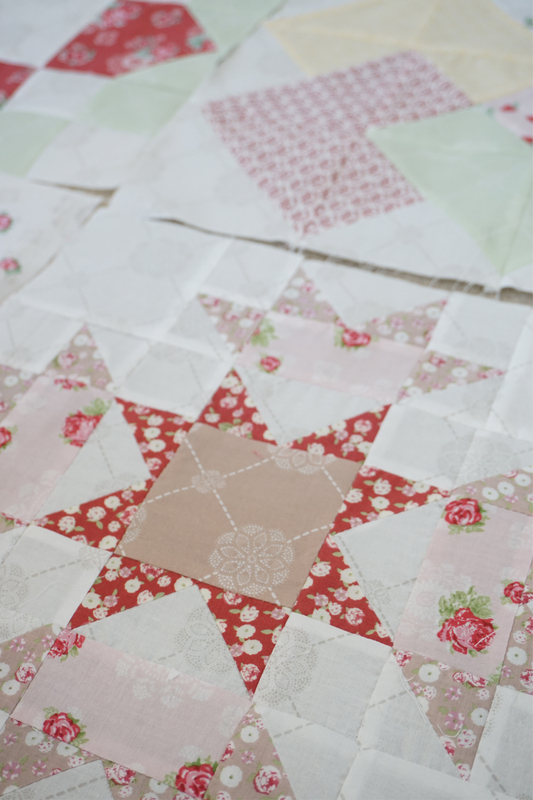 The red fig and dusty pink colorways from my High Tea collection have been my favorite to work with. I hope you’ve enjoyed my High Tea party stop. 🙂 By now my fabric should have shipped to shops that ordered it, so please be on the lookout. 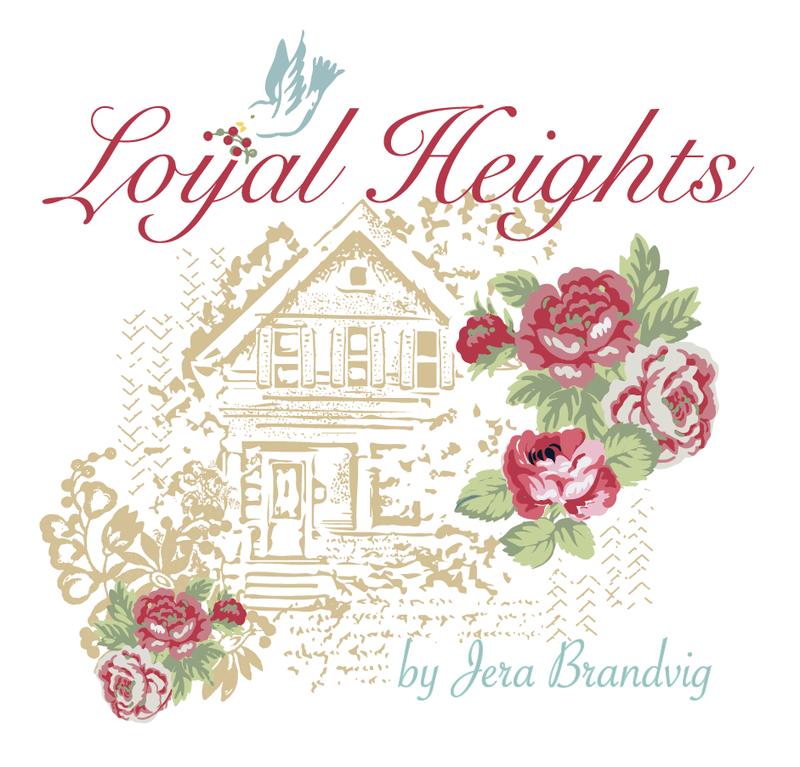 Some shops that I know of that carry my fabrics can be found here. I’ll be back with a recap from week 3 next. 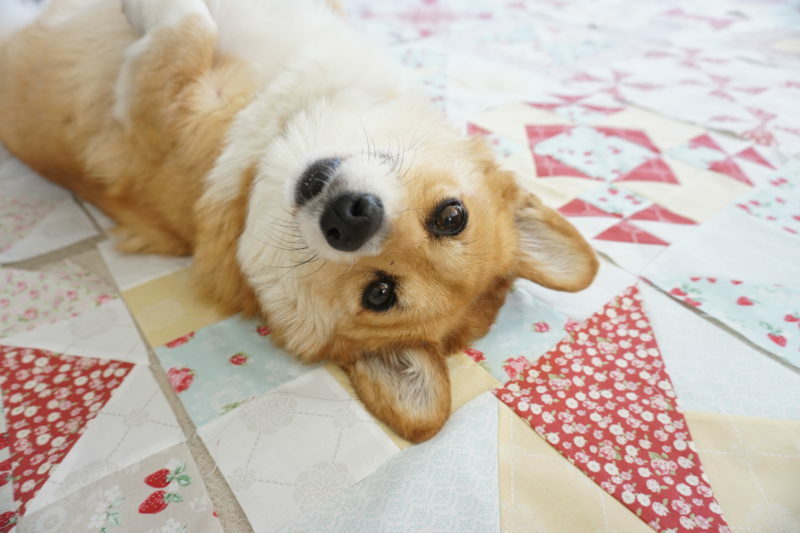 That’s so exciting – a new fabric collection and a new book?! You are going to be very busy… better put Paige to work now! Thanks for bringing such a pretty fabric collection to us with High Tea. I’m so excited for your next book! I love your first one and can’t wait to see where you go with the technique in the next one. I love everything thing you at showing here! ? Thank you for creating such a lovely line. ? 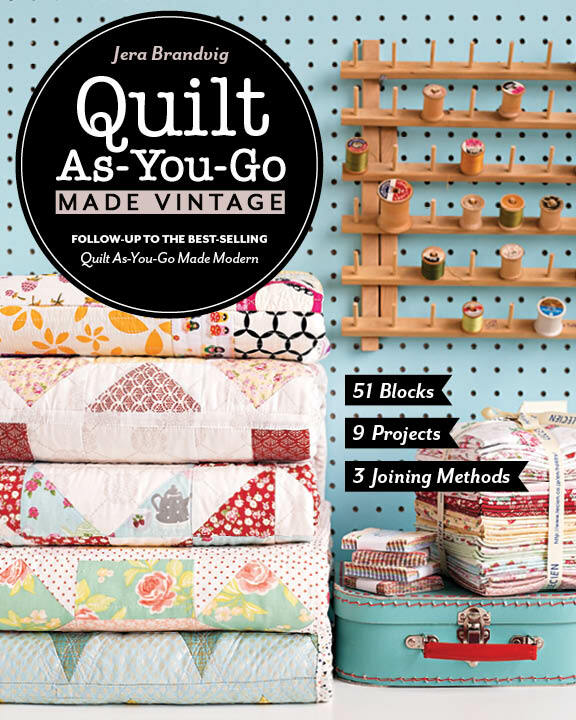 This is exciting – new book and another fabric line coming! 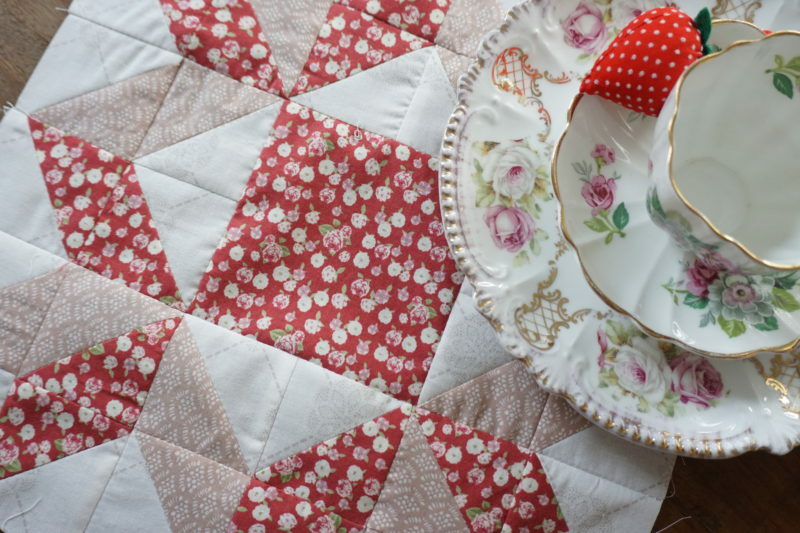 Love, love your fabric High Tea and am looking forward to being able to cut into it soon :)! As a retired quilter without the means to hire someone to finish my quilts your QAYG book is a way to continue my quilting. Thank you. Love your fabric line! So pretty! I’ll be anxiously waiting for your second book. Congratulations! This fabric is soooo pretty. I want it. how lovely! 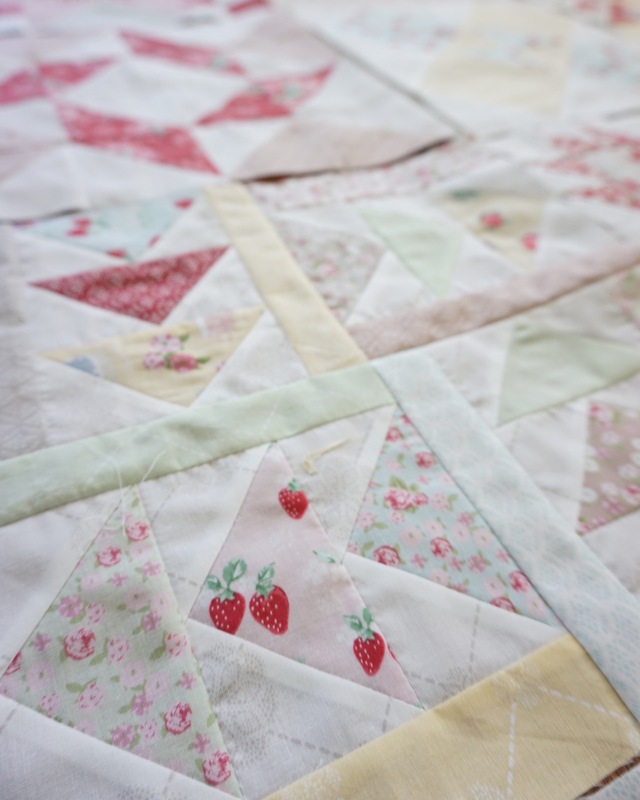 I am always drawn to the old-style quilting as I received several from my grandmother, and great grandmother who were quilters. And I love the name of your blog! I grew up in the Pacific Northwest (Portland) and find crafting so relaxing on a rainy afternoon! 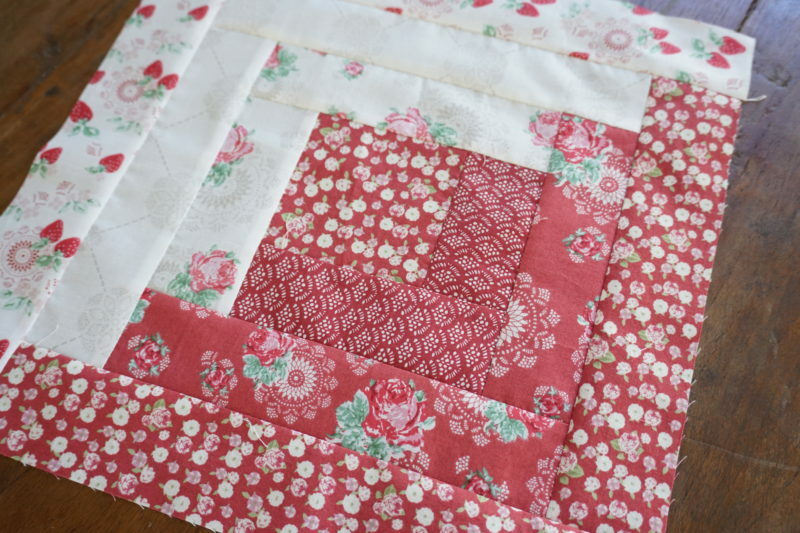 I love a red and white quilt, obviously Paige does too 🙂 This is beautiful! 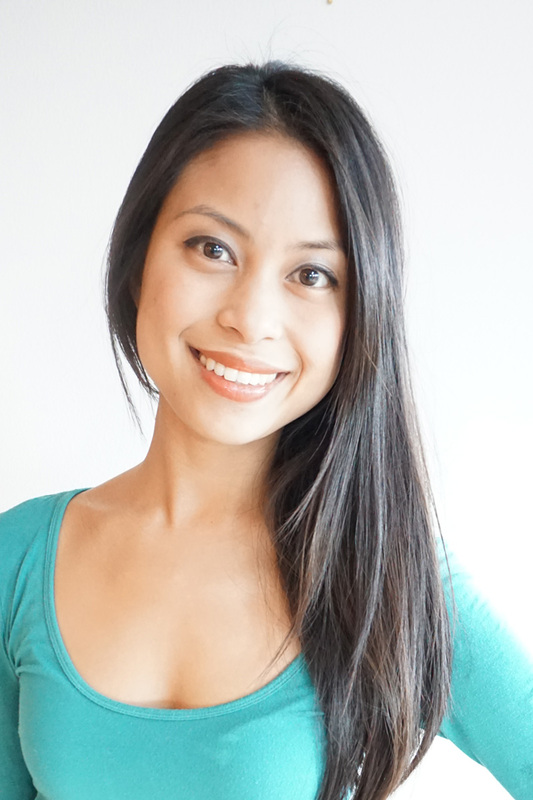 I love your new cutting table and I love your style! I’m glad I found your blog!